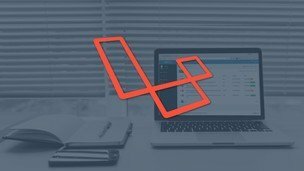 PHP Laravel Framework is used to build great web sites/applications with easy development techniques. Laravel follows the elegant, expressive syntax. Laravel makes the development procedure a gratifying one for the developers without sacrificing applications functionality.This course will acquaint participants with accessible tools needed for robust, large web applications. Participants are required to have fundamental knowledge of HTML,CSS, Bootstrap. Continuation & creation more controller classes and using them with each other and creating relative views. HiiT plc is a great place to be because the staffs are very social,hospitable and down to earth and our teacher was a great person to be around because he tries as much as possible to explain to the least possible detail for easy understanding,He was very good. I love how they train,the tutor is friendly,he makes sure you understand what he is teaching.I am very grateful,HiiT is the best Computer training institute ever.HiiT you are the best! HiiT is a good organisation with well cultured workers and a very clean environment. I am impressed with the certificate in digital literacy program, the teacher was nice, he was always ready to impact knowledge irrespective of any challenges.Thanks to all,It was a pleasure all through my days. The instructor was very focused and always ready to impact knowledge, HiiT Plc is a lovely place. The training was cool and we had a nice teacher who is always ready to for us, i loved the class and i am going to tell my friends at home to come for the training. The training i underwent was very interesting and i learnt alot from the teachers/instructors because they made sure we understood everything we being taught,I will also want to use this opportunity to thank the staffs and everyone for their love and also for them to keep up the good work! This training was very nice and conducive and i am so glad on how we were being treated in this training centre. More power to your elbows. Infact am so happy with this computer program, Why? because i can now operate computers and i can do alot in the office without any problems I give thanks to the management for their understanding and cooperation. The training conducted on certificate in digital literacy was quite okay and well delivered courtesy of the qualified and dedicated instructors in the institute. Based on this i recommend it to all and sundry. It was awesome being in Hiit, the tutor was competent, the students were friendly, the environment was convenient. In fact it was a wonderful experience. The training was very comprehensive, impactful and friendly. I will return again for further training in other areas if time and resources permit. I am more than impressed. The teaching has been excellent and top class, the environment is conducive for learning and I don’t have any problems with the institution.” Keep it up”. Hiit is a computer institute that helps students to really know what computer is all about with both theory and practical aspect. Well, the training went smoothly without incident. The teaching was top class as usual and the environment was very accommodating and conducive for learning. I am happy that I came to study here, I have gained a lot, keep up the good work. My time in Hiit has been well spent from our instructors to the environment, everything was well coordinated. Honestly, it was a very good experience, I learnt a lot of things, concerning information technology, good instructor, conducive environment for learning. My expectations were met in the just concluded training and my instructor helped me achieve my aims of coming for the training. They taught us in a good way for easy assimilation. I am amazed,I thought i would be rushed without learning to understand but the time spent in each class was great.All i can say is that i am satisfied. HiiT is the best computer training institute so far for me because the training was done in a satisfactory and convenient manner.Every topic was treated professionally.I gain alot both practically and theoretically. I can gladly say that HiiT was wonderful must especially our instructor.He was splendid i really enjoyed his class. HiiT Plc gives everyone the opportunity to become computer literate.It enhances our knowledge on the basics of computer. My instructor was so amazing because he made learning really easy. I want to use this opportunity to appreciate all the staff of HiiT Plc.In Fact i really enjoyed my training with them. They are so faithful and caring. I liked the way the instructor taught me in class, i always loved coming to class.